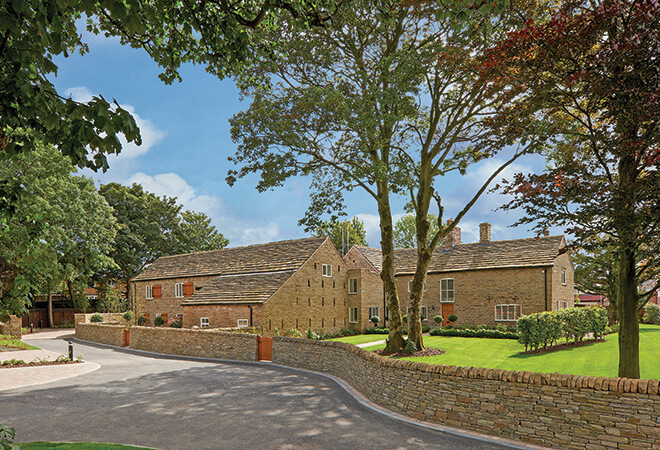 one of our largest projects to date, involving masonry works to three dwellings as well as extensive external work. 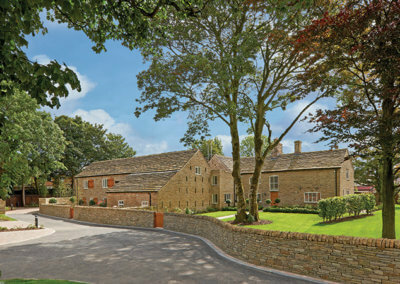 WHILE WORKING ON A NEARBY SCHEME FOR THE SAME DEVELOPER, LYONS WAS COMMISSIONED TO CARRY OUT REPAIRS TO THIS GRADE II LISTED FARM AND BARN. 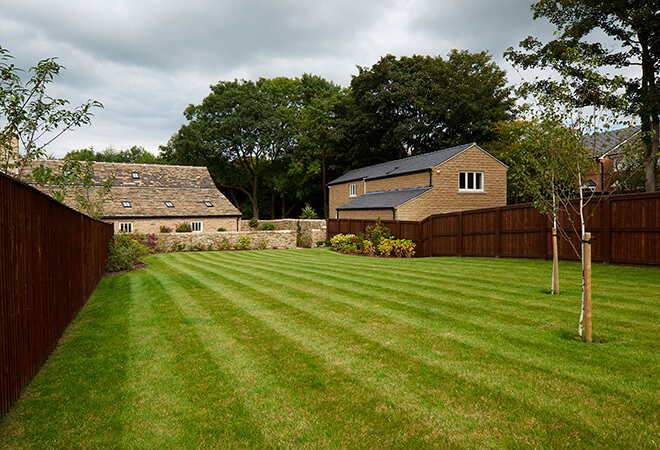 Further tasks were added to our work package as the project went on, so that we also provided stoneworks to the adjacent new build house and garages and extra external work to the farm. bricklayers and masons building new outbuilding and garages. 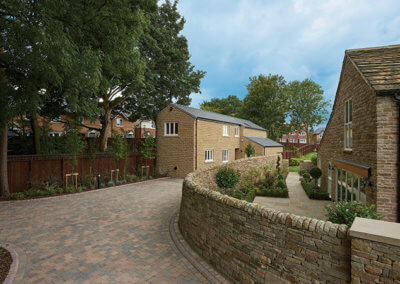 A gratifying venture for us, and a happy client. Nigel Galleymore, Commercial Director, Jones Homes (North West) Ltd. Significant structural repairs to listed stone building.